OLDRIGHTIE: Is This Labours' New Election Weapon? Is This Labours' New Election Weapon? So we have Ally Kellykiller crying before Bullyears and our Jim caught blubbing as the largactil wears off. Now if they were genuine tears for the dead and crippled soldiers and their families I might have some sympathy. As it is I just weep for the last 13 years of destruction. These dreadful individuals display a depth of emotional naivety of childish proportions. We should expect more from a stiff upper lip breed but of course breeding and style are anathema to Labour. From footballers to Labour heartlands it's all about themselves and sod anybody else. I would urge them to get a grip but it's too late for that! Winning hearts and minds? More like vomit inducing bad acting. will not realize the connection with Peter Andre and his Blubbing on sky. This in fact got peter an amazing boost in support not that i am saying Alastair would stoop so low. Regarding your first commenter's remark I am saying Campbell would stoop so low. As for Brown and his pre-planned tear session, just another piece of electioneering organised by his very smart wife. OR, I just despair. What on Earth has happened that the simplest piece of logical deduction is, apparently, beyond the scope of 99% of the population. If Brown, and others, can be moved to tears now, what has changed that they could not on previous occasions? I believe that people in these position really do have mucj thicker skins and stiffer upper lips than most people. The conclusion to be drawn is that either they are suddenly falling apart emotionally, or that they are faking it. "The conclusion to be drawn is that either they are suddenly falling apart emotionally, or that they are faking it." The only argument I have, Edgar, is that word "sudddenly". Jimmy was a sickly and unpleasant child as was Ally. Nasty. scheming, lying cunts .. the lot of 'em ..
Utter fakery. They have failed to get our support by any other means (e.g., being honest or competent), so they resort to the sympathy strategy. Campbell and Brown crying on prime-time TV within a week of each other? What next, Darling blubbing that he was beaten as a child, and Harman admitting that she was held under the bath-water at her public school? These cynical bastards have no morals or integrity whatever. And I bet it will work. Look at all the weepy shite over Princess Di - that did Bliar no harm at all. The British public are easily led - as we have seen over the last decade. Sorry, I have an ishu with your comparison. 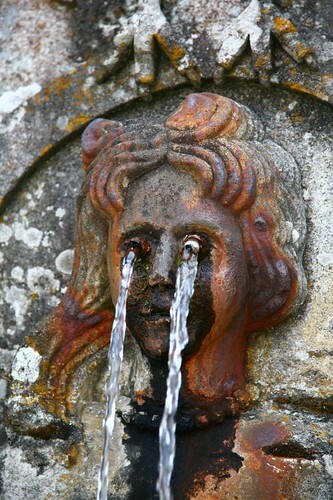 The fountain has a far greater range of human emotions than all the NuLab fuckers (and buggerers). Terrific responses and thank you. If, a big if, the sheeples don't fall for this schmalz, then Labour will be done for.